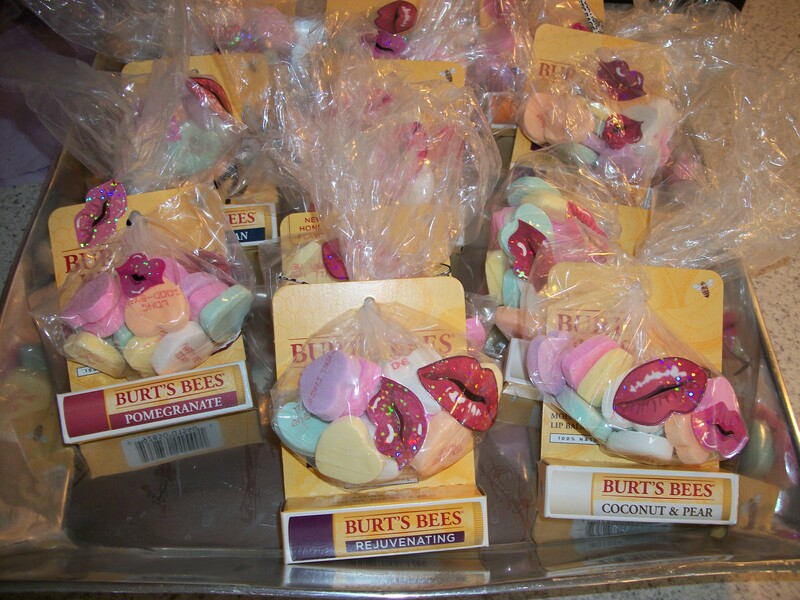 I decided to put together some favors for my daughter’s first birthday party. Since it’s so close to Valentine’s Day, and we’re in a cold climate, I thought “lips” was a good theme for favors. I just used little fold-top sandwich baggies and filled them with candy, then stuck the top through the hole in the chapstick’s cardboard backing, before tying it off. Then we had fun putting “lip” stickers on the bags! 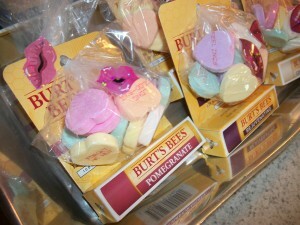 I got many different varieties of Burt’s Bees’ chapsticks–my favorite so far is coconut pear.